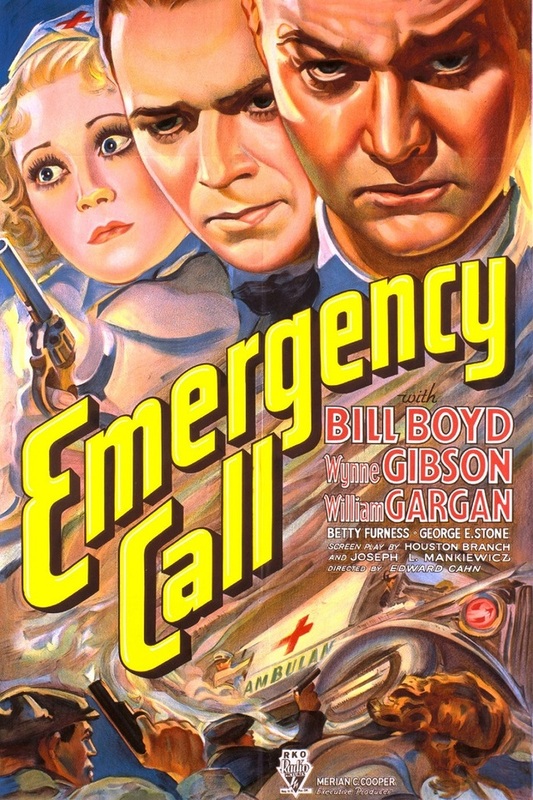 EMERGENCY CALL (1933) is an action-packed RKO film starring William Boyd. Boyd starred in this quick-moving 65-minute movie two years before he first played his most famous role, Hopalong Cassidy. Here he plays Dr. Joe Bradley, a newly minted doctor getting experience on his hospital's ambulance service. Ambulance driver Steve Brennan (William Gargan) is initially skeptical of the doctor, given that the head of the hospital, Dr. Averill (Reginald Mason), is Steve's future father-in-law, but Steve soon realizes Joe is a "regular guy" and they become friends. Joe and Steve find themselves contending with a racket staging fake car-vs.-pedestrian accidents, not realizing that Dr. Averill is in cahoots with the mobster (Edwin Maxwel) running the scam. Joe and Steve's lives are soon on the line, both in the field and at the hospital, where Dr. Averill has just bought a bunch of ether from the mob, not realizing it's poison. The movie, which was cowritten by Oscar-winning writer-director Joseph L. Mankiewicz, starts out on a relatively light note, with Joe and Steve dealing with crazy patients and Steve courting nurse Mabel (Wynne Gibson). The film takes a dark turn towards the end which is almost surprising -- and fairly riveting. Gargan is likeable as the loudmouth with a heart of gold, and I really enjoyed seeing Boyd in a non-Hoppy role. 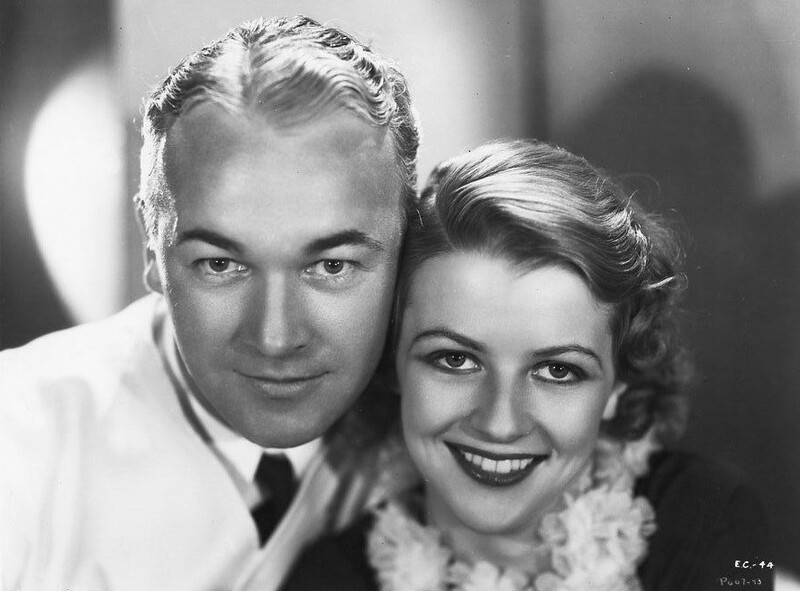 I saw him years ago in CARNIVAL BOAT (1932) and didn't really "get" him in that one; I remember feeling as though his acting was a bit creaky and felt he seemed too old for Ginger Rogers. Either he got better in a hurry or my attitude toward him has changed thanks to enjoying his Hopalong Cassidy films, as I enjoyed him quite well in this. Betty Furness has a small role as Boyd's fiancee, and look for Jane Darwell and Paul Fix on the hospital staff. George E. Stone is one of the crooks Steve and Joe must contend with. 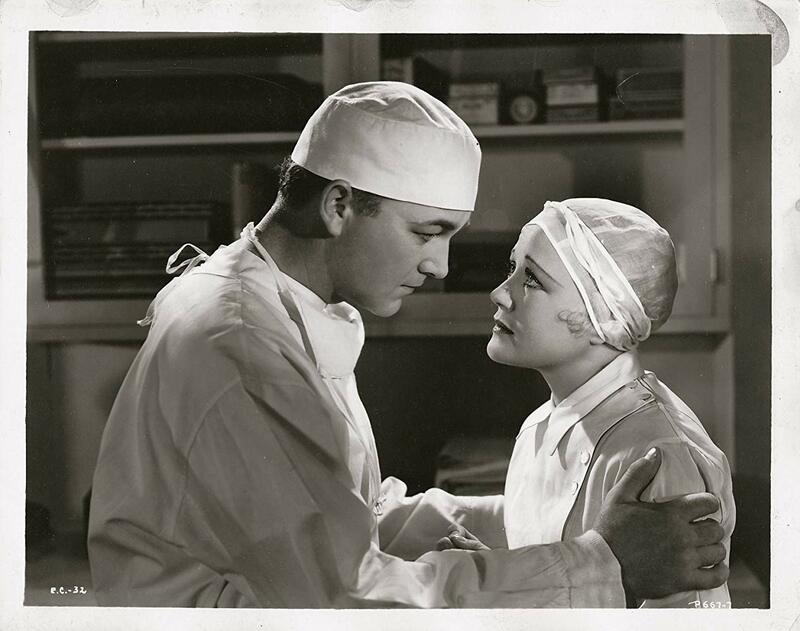 I tend to enjoy hospital movies, especially in the pre-Code era, when the storylines often leaned toward over-the-top melodrama. As in another memorable pre-Code medical film, REGISTERED NURSE (1932), the doctors all smoke like chimneys -- inside the hospital! -- which is always a bit shocking to the modern viewer. EMERGENCY CALL was directed by Edward L. Cahn and filmed by J. Roy Hunt. I recorded this film when it recently aired on Turner Classic Movies. It seems as though it might be a good candidate for a future Warner Archive pre-Code release. 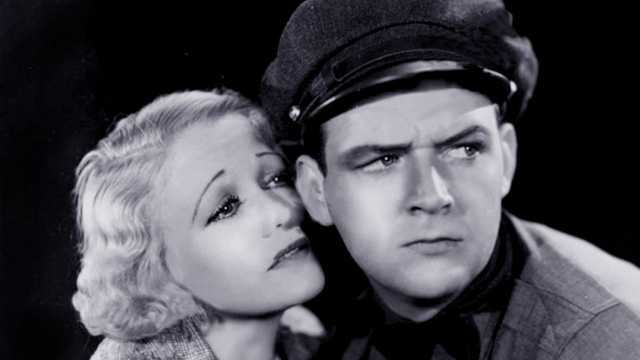 For more on this film, check out Danny's review at Pre-Code.com.